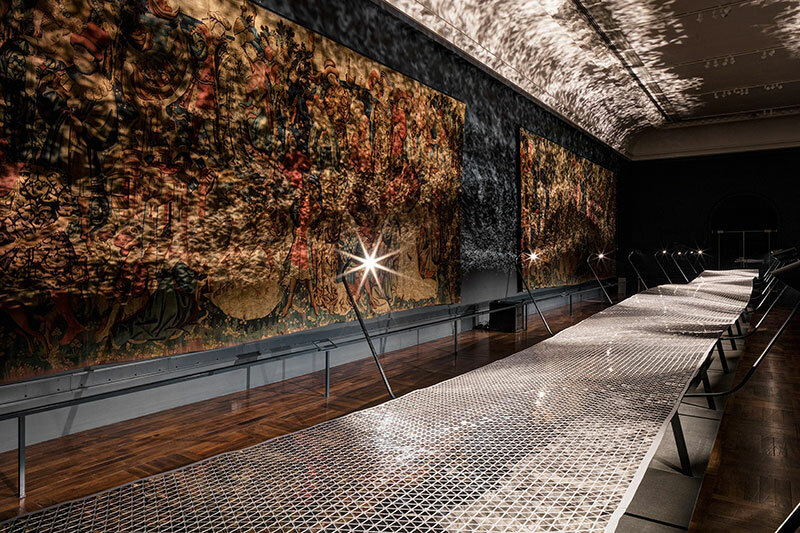 Located at the V&A's tapestry gallery during London Design Festival, this installation by Benjamin Hubert of experience design agency Layer in collaboration with Braun consists of a 20-meter-long undulating ribbon comprising of 40,000 individual shaver foils that move continuously and dynamically in a sine wave formation. 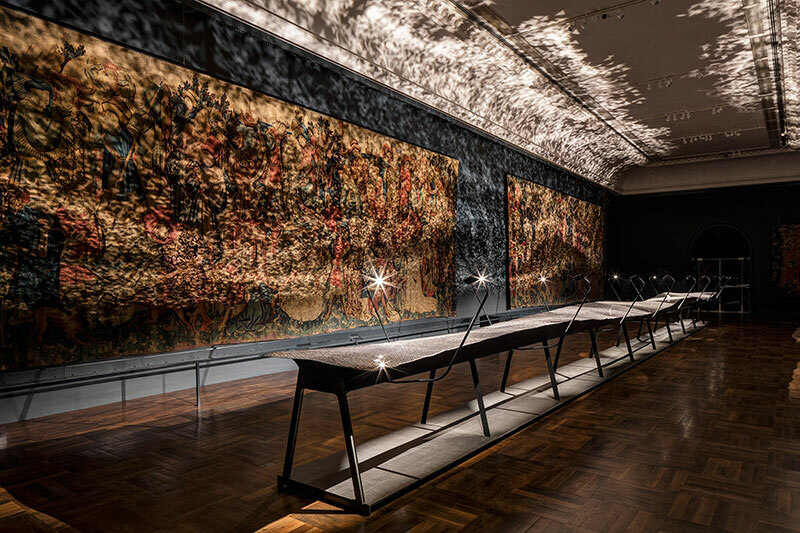 A system of 16 LED lights are directed onto the foil so that the light is scattered and reflected on the gallery walls that sort of gives the sensation of being under water and looking up as the sunlight is diffused by the waves. Together with the Braun design team we saw an opportunity to create a large-scale installation for the London Design Festival at the V&A to communicate the brand’s commitment to design and deliver an engaging and meaningful experience to a wide audience that embodies the values of excellence, engineering and quality that are imbued in every Braun product. 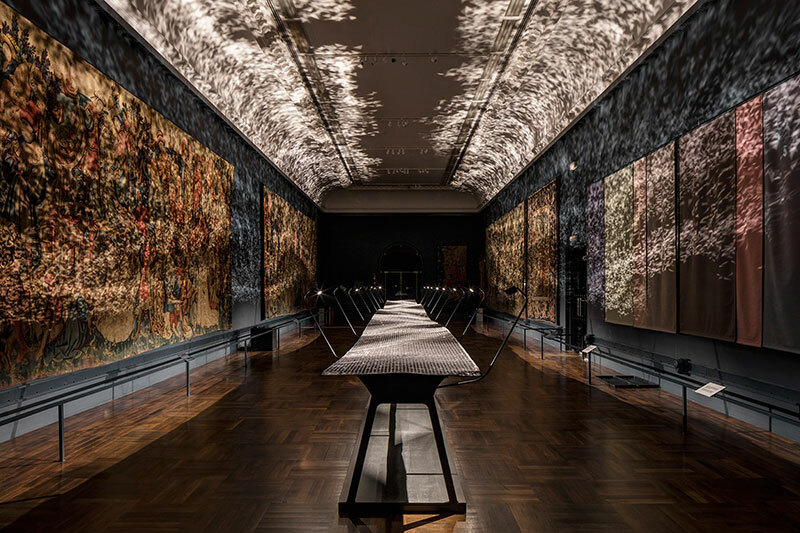 Located at the V&A's tapestry gallery during London Design Festival, this installation by Benjamin Hubert of experience design agency Layer in collaboration with Braun consists of a 20-meter-long undulating ribbon comprising of 40,000 individual shaver foils that move continuously and dynamically in a sine wave formation.